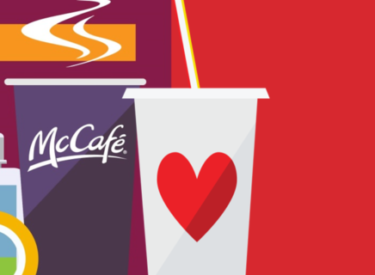 Wichita, Kansas (August 9, 2017) – It’s back-to-school time and McDonald’s wants to recognize a valuable group of people who will do so much for and in support of our youth in the coming months – educators! Educator Appreciation Day is tomorrow, Thursday, August 10, 6-10:30 a.m. All teachers and school employees will receive any breakfast sandwich for free! School ID is required, one free sandwich per customer. McDonald’s recognizes the hard work, effort and dedication each of our educators pours into students every year. As a token of our appreciation, McDonald’s is providing this special offer just for these wonderful individuals. This offer is valid at participating McDonald’s in the following Kansas towns: Abilene, Andover, Anthony, Arkansas City, Augusta, Colby, Concordia, Derby, Dodge City, El Dorado, Emporia, Garden City, Goddard, Great Bend, Hays, Haysville, Hugoton, Hutchinson, Junction City, Kingman, Liberal, Manhattan, McPherson, Newton, Park City, Pratt, Russell, Salina, Seneca, Topeka, Ulysses, WaKeeney, Wamego, Wellington, Wichita, Winfield, KS.